You can insert any plugin shortcode to the standard text widget. 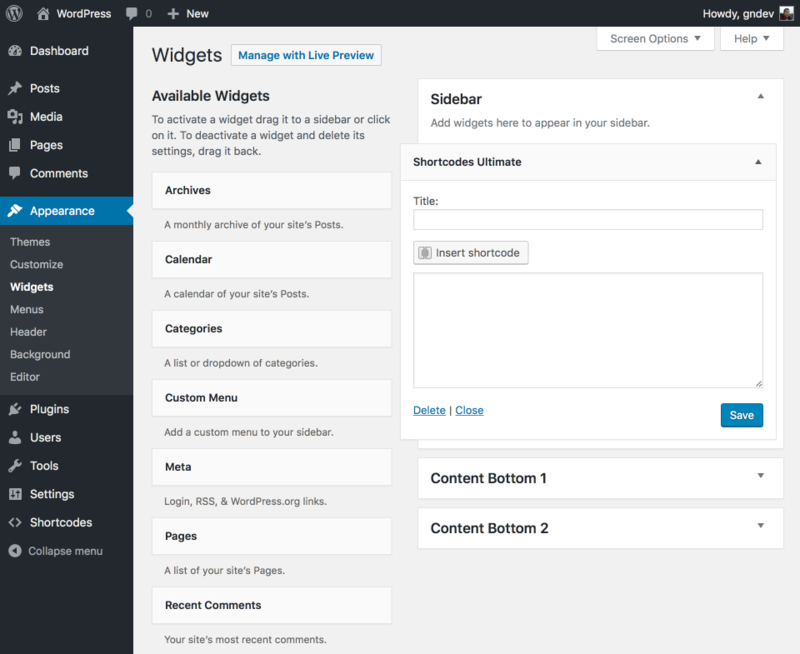 Besides, the plugin provides a special widget called Shortcodes Ultimate. Special widget is similar to text widget, but contains also "Insert shortcode" button. Choose the necessary shortcode, set it up, and press "Insert shortcode" button.